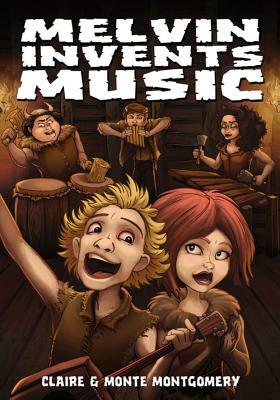 In this hilarious novel, Melvin creates a new thing that he calls “music.” Unfortunately, like most great inventions, other people have trouble embracing and accepting this new pastime. As a result, Melvin is sent to a home for wayward children with similar disabilities. While there, Melvin and his new friends discover they can make something almost magical with the different instruments they’ve created. The only problem is getting everyone else to see how wonderful music can be. Claire and Monte Montgomery have been writing and making music together for about as long as they can remember. Their first novel, Hubert Invents the Wheel, was selected for the prestigious Texas Bluebonnet List in 2007. They live in Los Angeles, California.